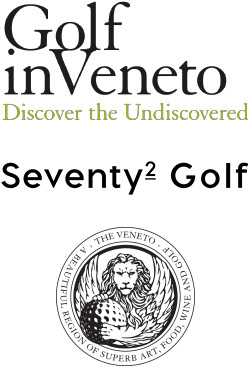 Seventy2 Golf was today announced as the UK & European Golf Sales Agency for Golf in Veneto, Italy. This new relationship has been formed to increase the profile of Golf in Veneto amongst the international golf and lifestyle travel trade. Golf in Veneto boasts historic courses; ones designed by globally recognised designers as well as undiscovered courses within some of the most exquisite landscapes. Located in the North East of Italy, the region of Veneto stretches from the magnificent Dolomite Mountains right to the shoreline of the Adriatic Sea. It provides a unique setting for a golf break and for exploring one of the Europe’s most revered regions noted for its cities of Venice, Padua, Vicenza, Treviso, Verona, as well as sampling world class gastronomic experiences. Giles Greenwood commented “At the 2013 IAGTO Awards, I was honoured to present the region of Veneto with its Undiscovered Golf Destination Award, where they showed a real commitment to placing Veneto on the golfing map. Since the award, Golf in Veneto has become much more widely known to many new markets, so we look forward to helping them continue their story”. Seventy2 Golf will draw on its travel division to target and partner with global travel businesses looking to expand their Italian golf product. François Droulers, Chairman of Golf in Veneto commented “We are thrilled to partner with Seventy2 Golf. We believe this will offer the travel marketplace several additional experiential opportunities and packages that they will bring together for us. Golf in Veneto is very proud of the product it has to offer, and we know the international golf traveller will feel the same”. Seventy2 Golf delivers powerful sales, marketing & branding initiatives for the golf travel sector. It’s enjoyed a rapid rise and has become the ‘go-to’ company for golf stakeholders looking to increase their golf visitor numbers, whilst also creating positive PR, content and a more transparent approach to golf representation. Seventy2 Golf now represents some of the best-known golf resorts and destinations globally.